Hundreds of customers have taken their money out of a Chinese bank after rumors suggested it was nearing collapse. 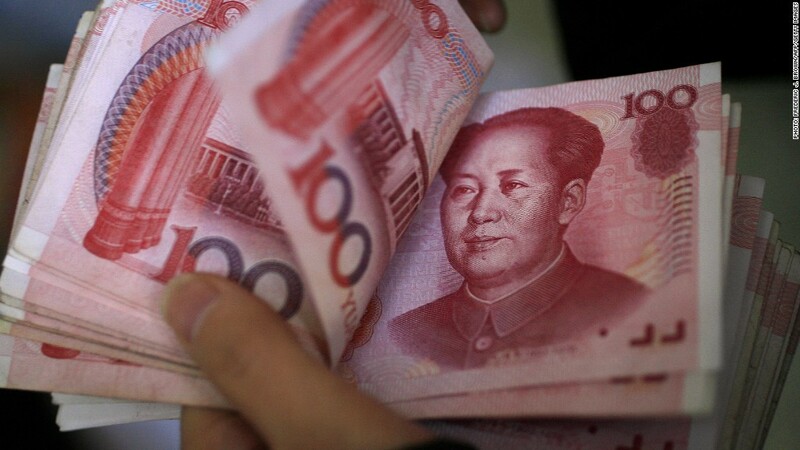 Hundreds of people flocked to Jiangsu Sheyang Rural Commercial Bank in China this week to withdraw cash after rumors indicated the bank was nearing collapse. The details of the bank run, which took place in a coastal province north of Shanghai and lasted at least three days, were reported by state media. Customers were worried their savings would be lost -- a very real concern in China, which has no official insurance system to protect bank deposits. The panic was so widespread that the bank placed stacks of cash in bank teller windows to reassure customers that it had enough funds to meet demand. A Reuters journalist reported from the scene that the bank was staying open 24-hours a day, and that the cash needed to satisfy hundreds of waiting depositors was being trucked in by armored car. Local government officials responded to the bank run in a video statement that sought to reassure customers that their money was safe. The China Banking Association issued a similar statement that expressed confidence in the bank's financial health, and warned that rumor mongers would be held legally accountable. The Sheyang county governor also said the People's Bank of China would protect depositors, although the central bank hasn't publicly addressed the situation. In a pinch, the central bank could tap a credit facility for rural banks that was established in January. Bank runs aren't very common in China, said Mizuho banking analyst Jim Antos. But the episode highlights the need for deposit insurance in China, a reform that is on Beijing's to-do list. "If there were an official deposit insurance program that people trusted, it would be easier to keep depositors from overreacting to rumors and the bank run that just occurred might have been avoided," Antos said. And as companies other than traditional banks start offering financial services, "deposit insurance probably needs to be extended to these innovative, non-traditional, e-banking companies, too." The government is widely expected to begin working on deposit insurance this year as it seeks to implement financial and economic reforms. In the meantime, it appears that the immediate risks from this week's run are contained. "We believe the government will not allow deposit-taking institutions to fail, so this incident will likely be resolved soon without significant repercussions on the financial system," said Zhiwei Zhang, an economist at Japanese brokerage Nomura. UBS economist Wang Tao has before called deposit insurance a "prerequisite" for a more market-oriented economy that would include flexible interest rates. A "crisis resolution mechanism will also lay the foundation for allowing more credit defaults and exit of small financial institutions," she said. Attempts to contact the bank Thursday were unsuccessful, but it appeared the incident may have run its course -- with only one real victim. Local police said in a social media post that they had "captured" the suspected gossipmonger on Wednesday night.